The hydrogen roundtable was the flagship event in ENGIE Innovation Week 2016 in the Asia Pacific region. An exceptional panel of guest speakers met in in Singapore to discuss current opportunities in hydrogen. 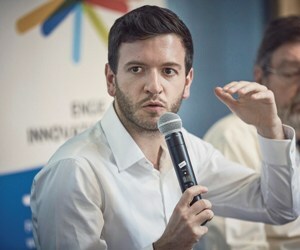 Quentin Vaquette, an ENGIE intrapreneur who is developing the "Hydrogen solutions for remote areas" project, was part of the panel. We took advantage of a trip he made to France to talk about hydrogen’s place in the energy mix of tomorrow. Quentin, after working as an engineer and a financial analyst, you are currently leading the "Hydrogen Solutions" project. How do you go from financial analysis to working on hydrogen? You could almost call it a revelation... it’s true that for four years I worked in Thailand as a financial analyst, and during a visit to the Maldives, I realized that all the electricity produced there was from diesel. Which is a very expensive, polluting and non-renewable source of energy. On my own time I started a research project to find energy sources that could be used to replace diesel in isolated locations. Hydrogen began to make sense very quickly, both economically and ecologically. I created a business case that I submitted to management at ENGIE APAC, who gave me three months to make a more solid case for the concept. I was able to show that hydrogen was in fact an appropriate energy source in isolated areas. I started to develop the "Hydrogen Solutions” project six months ago, with the challenge of getting the first set of customers to kickstart this new business that I think has an extremely bright future in Asia. The first cooperation agreement (MOU) was signed in early June of this year in Australia, which allowed us to move into feasibility study phase. Our goal is to deliver a competitive commercial offer by the end of 2016 and to sign of our first long-term electricity sales contract (for 20-years, for example) by the middle of next year. This will allow us to move into the construction phase and commissioning in 2018. What is the potential for hydrogen at ENGIE, particularly with regard to its commitment to reducing CO2 emissions? Hydrogen is a really important issue for the Group for several reasons. Reducing emissions equals finding and using renewable energy sources. But hydrogen is an "enabling technology" that overcomes the intermittency of renewables. It is also a very versatile storage solution that has direct applications for mobility or producing electricity from 100% renewable sources, as is the case for my project. In the near future hydrogen could replace natural gas! We know that (at current cost) renewable and hydrogen technologies could already be used to turn the electricity generated in large solar power plants in high-exposure areas like the Middle East, for example, into a 100% renewable gas at a cost that would be competitive with that of LNG two years ago, or $16/gigajoule. Hydrogen could therefore demonstrably occupy an important place in the future energy mix. For the Group, the challenge is currently to develop its hydrogen expertise in niche markets where it is already profitable compared to petrol-based fuels, and to prepare for the future, when hydrogen will really take off. What hydrogen projects is ENGIE currently developing in Asia Pacific or elsewhere? In Asia, the REIDS project was initiated by the University of Singapore and led by ENGIE Lab. It is an applied research platform to test and demonstrate how various renewable production and storage technologies, including hydrogen, can be integrated into micro-grids in Asia. The "Hydrogen Solutions" project I’m leading is the only other ENGIE hydrogen project in the region. It’s business-focused and has short-term commercial goals. 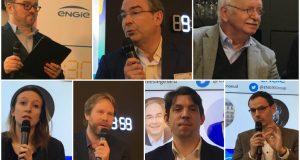 Outside ENGIE, hydrogen has recently started to re-enter the public debate. In the automotive sector, large manufacturers have released or will soon release hydrogen-based models. Toyota, Honda, Hyundai, BMW, and Mercedes all are making the move towards hydrogen cars. They are generally cheaper, have greater range and can be recharged in under three minutes. Hydrogen still suffers from mistimed efforts to create a market about ten years ago. At that time many projects were launched, but the market and technologies were not ready, and the cost of renewables still far too high. Today is the right time. The technologies have evolved, and the cost of renewable energy has gotten so low that hydrogen is once again in the race. So this is also a good time for your project? Yes, especially right now, since no one is currently offering a comparable solution. We started this project from scratch. We met with almost all of the stakeholders in the industry players and toured what already existed in order to find the right mix of components. Our goal was to create an optimal system that was cheaper than others, efficient and easy to maintain in remote locations. Beginning with a shortlist of six countries in Asia, we ended up focusing on the Philippines, Indonesia and Australia. Discussions with the authorities in these countries led to a list of places and parties we need to sign cooperation agreements with to develop the project. Our goal is to start the first feasibility study this summer, and to deliver a commercial offering at the end of 2016, start construction mid-2017 and begin production mid-2018. Our test sites in Australia, Indonesia and the Philippines will allow us to refine the offering and check how well the project works in a commercial setting before developing on a larger scale in Latin America, Africa and the Pacific Islands. Did the hydrogen roundtable you participated in on June 6 help you? Yes, absolutely, both for the "Hydrogen Solutions” project but on the subject of hydrogen in general. We brought many stakeholders to the table, including representatives of the Government of Singapore. You should know that Singapore was "disappointed" in hydrogen after investments there about ten years ago, when the solution was not yet profitable. The roundtable helped introduce them to how the context has changed and hydrogen’s new potential, and they expressed genuine interest. Now it’s up to us to make tangible proposals, particularly in mobility and industry for Singapore. We are at a tipping point where hydrogen becomes competitive, initially with respect to diesel in isolated areas like islands. We need to think about other locations and sectors that use diesel in order to construct and offer them 100% renewable hydrogen solution. The opportunity is huge already and tomorrow it will be even bigger as the technology becomes more mature and less expensive. 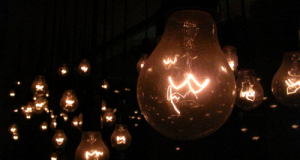 Today’s niche markets are opening the door to the energy markets of the future.